Random picture. 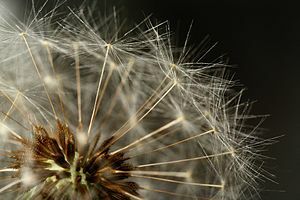 We can pretend it means that time is ephemeral and fleeting, like dandelion fluff held aloft in the breeze. But really, I just thought it looked cool. Do you ever wonder what meaning or story a blog title may have? Most titles I guess are straightforward, like “So and So Writes!” or “Books Books Books!” or “How To ___.” But, there are those other ones (you know what I mean, I’m sure) that are either titled or domain-named (can that be a verb?) kinda randomly. Or, am I the only one that wonders about these things? Like I’m reaching to find a story where none really exists. “Redeeming the time” reminds me to focus on the things that I do control, like working on the craft of novel writing, so that I can eventually see my dream realized. It also reminds me to simplify and let go of those things that distract me from my goals. Sometimes it’s tough, but I don’t count it as a sacrifice. At this point, I find I feel freer because I’m not owned by other time-wasters. I have more ownership and control of my time, and guard that time zealously. With all that said, I really want to incorporate reading back into my writing schedule, and even though I’ve said that I don’t really do book reviews, I at least want to put a few in rotation. (I plan on posting a book review page soon). Now, the reviews won’t be as fancy or engaging as most out there, but like this blog, it’s mainly just to keep me accountable to reading all the beautiful stories that find themselves in my mailbox or inbox. If my love for a book inspires someone to go out and read it, well, I’ll look at it as a bonus! Plus, it’s a shame to get ARCs or egalleys and not give at least a little pre-release blurb about the book. Heck, even sharing a “new to me” title would be delightful. Great stories are meant to be shared and loved. The writers who wrote those stories should know that their sweat, tears, and sleepless nights have created worlds for readers to live in. For a little while, both the reader and writer share the same dreamspace, and that is an experience worth cultivating. So Tell Me: Any story behind your blog title? Do you like or care when someone blogs (non-spoiler-y) book reviews? 1.) I haven’t stopped by in a while and I wanted to say hi. I’m a terrible blog subscriber, LOL. 2.) My blog title isn’t very creative. Erin Writes. Yep. I actually decided to call it that b/c my friend had a blog when she was training and fundraising for her breast cancer 3 day walk and it was titled, “Becca Walks”. I liked how simple it sounded. So I went with it (and it’s very unoriginal) I suppose it’s straight forward and is my name, but I wonder if I should put some sort of inspirational logline after? Or throw my last name on it and commit? It is what it is for now :). No worries, I’ve been lost in my WIP2, so I understand! I don’t define the blog by the title alone. I guess it depends on the content of the blogger. My blog is called Unsettled because that is me. I am all over the place. I write, read, blog, review and anything else that comes to mind at the time. I really didn’t review a lot of books on my blog until I had some new authors contact me and ask me to or be part of blog tours. Then I thought it was fun and decided once in awhile was fun. I started out on Blogger with the title Long Journey Home, which went along with the theme of my memoir–which, when it was published on May 17th as In the Mirror, had gone through several name changes. My blog title went through only a few. I have since read it’s good to have your name as your blog title; that way when you’re published, your name’s already out there. My blog’s did have my name, in several different subtitles: e.g. Blog of Ann Best, Blog of Author Ann, and the final one Ann Best’s Blog. So that’s the (mundane) story behind MY blog title. I came over here from Michelle Davidson Argyle’s The Innocent Flower to meet you. Innocent Flower: Now I wonder what “story” is behind that title?! I was also interested in meeting another blogger who is on WordPress. I’m still on Blogger because that’s where I began (couldn’t figure out WP and had to have some help recently to set it up) and because I don’t want to lose my friends there. But I LOVE WordPress–the clean look, the way you can reply beneath the comment–and I see you picked the same theme I did, though you have your own STUNNING header picture that is perfect for YOUR blog title. And thanks for your comment on my blog header: that’s on my favorite beach on Maui! I intended to ONLY post personal pictures on this blog, but haven’t had the time to break out the heavy duty camera in a while, so had to resort to WP’s zemanta program. Other than just picking up books whose blurbs I like at the library, book reviews are a major source of deciding what and what not to read. Hi! Thanks for stopping by! I love the blog title, too, and fits your blog very well! Thank you, too, for mentioning the part about book reviews. I’ve mentioned on this blog before that I don’t really like doing book reviews because I was burnt out on doing them in college. I also noticed that the book reviews that I share with my friends tend to be reeaaallllyyyy long and in depth. (Also, I don’t like spoilers, and the way I reviewed books with friends would definitely be spoiler-y!) Because of those things, I wanted to stay away from reviews. But, seeing how others write non-spoiler reviews, I think I can share the book love without a) a LOT of time investment (read: I don’t need to write 12 pages with a works cited page) and b) spoilers. I just need to share the love. How many of us get lots of leisurely time to go about browsing libraries and bookstores every now and then? So I really enjoy reading book reviews on blogs. I always call myself a reader before a writer. It’s only from the passion for reading that my love for writing was born. So, I make it a point to always forage for blogs that do reviews. Thank you so much for your input, Aishwarya! It’s funny you mention always being a reader first, because that’s why I started this blog “Reading Makes Me Happy”–>in my “About” page I said that I wanted to write stories that created that transcendent experience that I reveled in while reading. I believe(d) that reading was this magical experience and for a moment, reader and writer shared the same world. I’ve hesitated doing reviews for so long, simply from time constraints and not wanting to be spoiler-y, but considering the few that I have done for books I really like, I think I can put my own personal experiences on it and not HAVE to be epically long and analytical for people to “get” something out of the review. And, I totally agree that a review needn’t be long and imposing for readers to be affected by it. I have seen reviews do their bit in a matter of few sentences! First, I love the title of your blog! When I started mine I just wasn’t being very imaginative, hence ‘Sierra’s Writing Adventure.’ It’s not super exciting (or symbolic, or anything else for that matter) but it has my name in it and the word ‘writing,’ so I suppose it works =) And adventure, because really that’s what writing is! Also, thanks for the book review input, however, I can’t promise that mine will be good. They may just be “DUDE READ THIS NOW!! !” but I’ll try to create reviews with more substance, since great work ought to be recognized. Hi Alberta! Thanks for stopping by! I LOVE the idea of using frogs as a metaphor for fairy tales! I’ll definitely be checking out your blogs as well!